1. 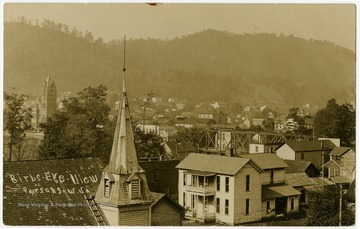 Parsons, Tucker County, W. Va.
Parsons, Tucker County, W. Va.
'Picture was taken from the grade school hill. K of P Building No. 1. 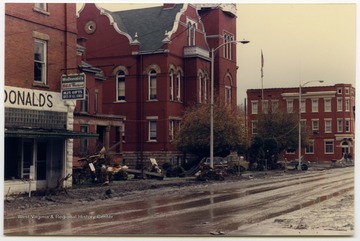 Advocate Building No. 2. 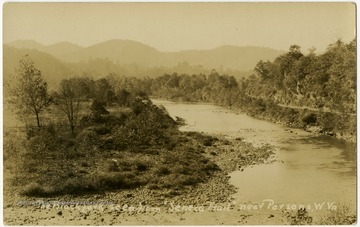 O. Homer Floyd Fansler, Hendricks, W. Va.' is written on the back of the photo. 2. 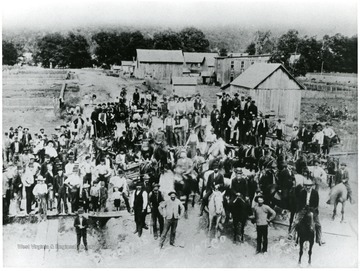 Mob Returns to Parsons, Tucker County, W. Va.
Mob Returns to Parsons, Tucker County, W. Va.
Court records and other valuables were forcibly removed from the courthouse at St. George on the night of August 1, 1893. 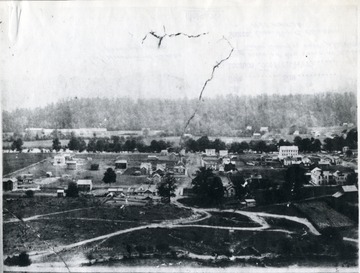 They were taken to Parsons and placed in a temporary courthouse the morning of August 2, 1893. This photo, taken in Parsons, is looking northeast on Second Street. It is accompanied by photo ID #015135. 3. 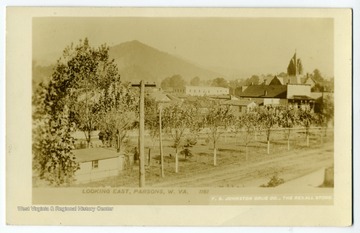 Looking East, Parsons, W. Va. 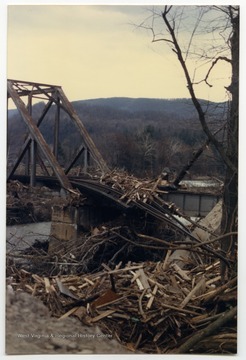 Looking East, Parsons, W. Va.
4. 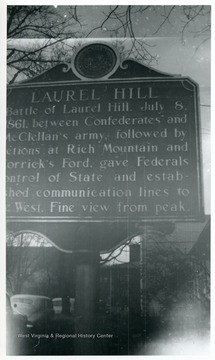 Laurel Hill Historical Marker at Parsons, W. Va.
Laurel Hill Historical Marker at Parsons, W. Va.
8. 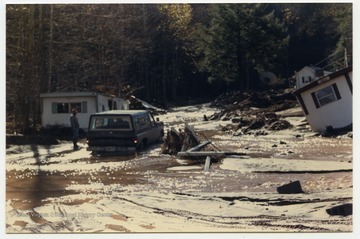 Scene of the "Blackfork" off the Seneca Trail near Parsons, W. Va.
9. 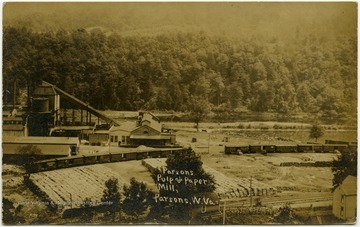 View Overlooking a Pulp and Paper Mill in Parsons, W. Va.
View Overlooking a Pulp and Paper Mill in Parsons, W. Va.
10. 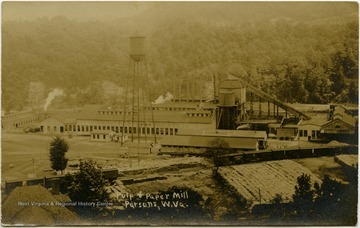 A Pulp and Paper Mill in Parsons, W. Va.
A Pulp and Paper Mill in Parsons, W. Va.
12. 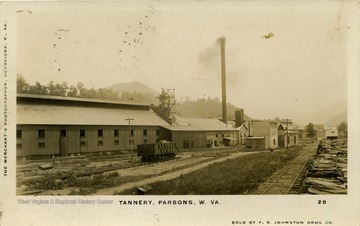 Tannery in Parsons, W. Va.
Tannery in Parsons, W. Va.